When making the investment in an outdoor space make sure you consider size. Picture it. 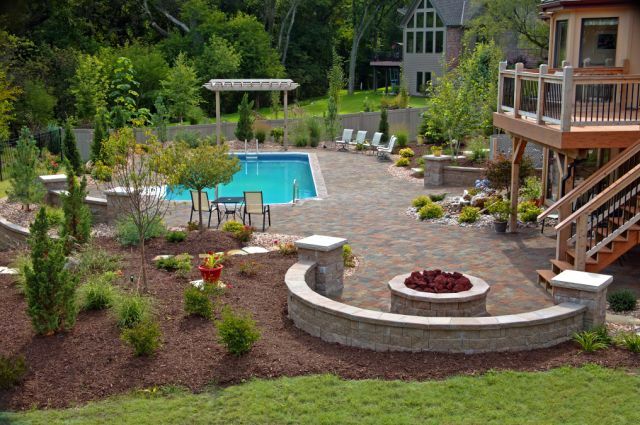 You've been through a long extensive process of installing your new outdoor space. The noise of all the big machines, saws and hammers are finally silenced and you have a magnificent patio where there was once a dirt patch. You are ready to celebrate! So you shoot out a few text messages - "Let's break this in!" ... Now, they've all shown up and your ready. Drinks are in hand, snacks are on the tray and the music is playing. Time to go out and enjoy the beautiful evening. 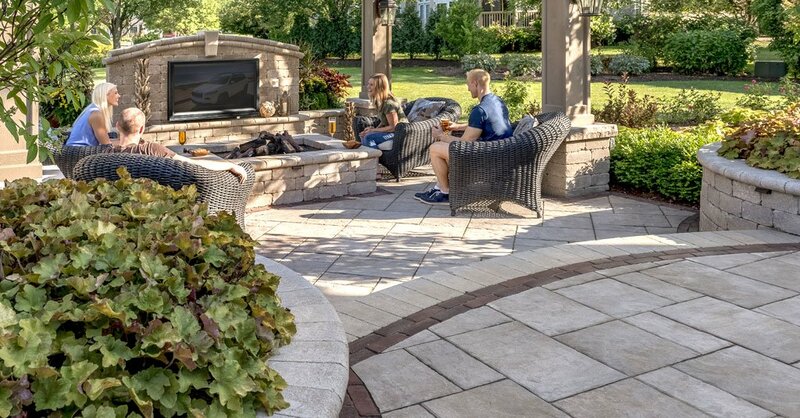 Everyone walks out to the patio and you immediately realize that the 10x10 patio, that you paid good money for, isn't big enough and too boot half of your guests are sitting in the grass. What happened??!!! Epic fail! All too often there is a sticker shock to the initial investigation into installing an outdoor living space. So the thought is to reduce the amount of patio space and move forward with the project. WARNING:It's a mistake. The investment is worth it, and the return is only there if it's done right (and that includes size). Consider for a second your patio. You want a table that fits 6. Ok - let's break it down. The table is about 4 feet long and you will need at least 3 feet for the chairs to move in and out comfortably - table, two chairs at the ends. Now you can see that your whole patio is allocated for just the dining table and chairs. Perfect if you plan on only eating in this space and you don't ever entertain more than 6 people. A scenario that is not always likely. A solution to this problem is to talk to a professional. Work with someone at your local Masonry store - like ours - who can walk you through your investment and make sure it's done correctly. We can make sense of what 100 square feet will actually allow (it may sound like a lot but it's not). We can make sure that you are choosing the appropriate material for whatever your project is, and in turn make sure that your return on investment is there. Also, maybe most importantly, we can make sure the next time you have guests over no one has to sit in the grass. It's all about enjoying your outdoor space!